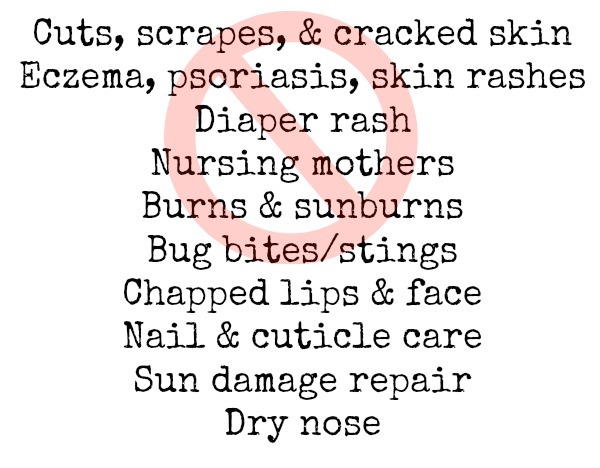 A good salve is the answer to healing annoyed skin; it should be in everyone’s pantry- be it for bites, nasty rashes or just moisturizing, you want a salve on-hand because they work. Like any product, there’s cheap, crappy, synthetic salves for sale everywhere, but finding an organic, cruelty-free, all-natural one is always a score. WHAT BERET JANE HEALED IN MY HOUSE? Not long after a weird rash popped-up on the top of my hand- three little bumps (who knows from what…) Beret Jane came to the rescue again and it even stopped the itching. I burnt my hand (left a bamboo spoon on a hot ring and didn’t realize it, picked up the spoon- yup that burnt!) again Beret Jane came out to play! I really appreciated the convenience of applying the salve, how quickly my skin absorbed it and above all the beyond delicious smell! As a proud DIY’er of lotions and potions, I can attest to the fact this salve is better than ANY I have ever made myself, or bought at Farmer’s Markets. 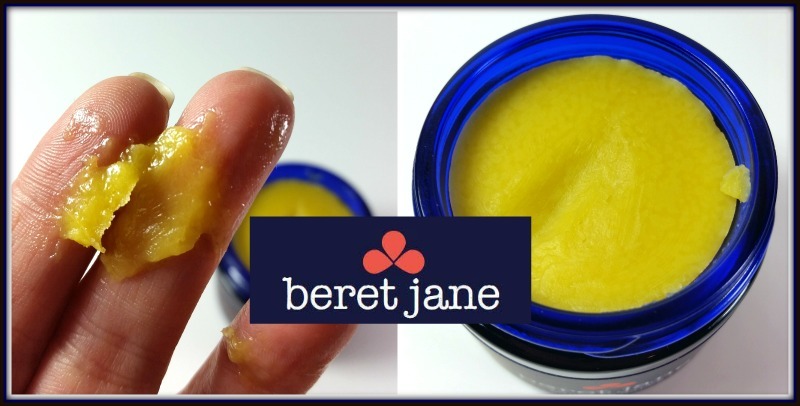 I have seriously tried dozens too- but none have ever smelt as good as Beret Jane. 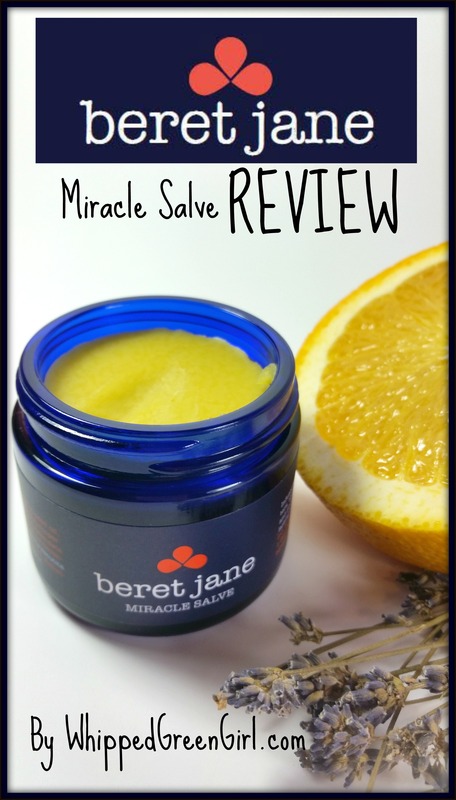 I find myself reaching for this salve for pretty much everything I possibly can- its replaced a whole pile of other junkie products I had in my medicine cabinet. 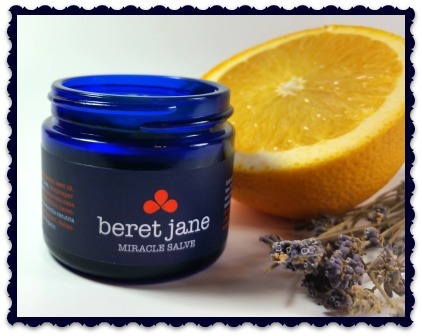 Made with love, in small batches, in the USA- Beret Jane Miracle Salve was created by a professional aromatherapist who evidently has a passion for natural healing agents. This is a product I hope you will one day get the chance to have in your household, it’s certainly serving mine well! Wow! Such a lovely review! Thank you so much, Angie! I’m definitely a fan! Thanks for sharing your craft 🙂 it’s an amazing blend! I have not tried this, but it sounds so great! Thanks! I don’t know if this one is available in UK, hope so as this sounds great and have a lot of uses too. Thanks for sharing! It sounds fantastic, and as an exzema sufferer im all for natural products. What does it smell like, I am imagining it is citrussy becsuse of the orange in the picture.